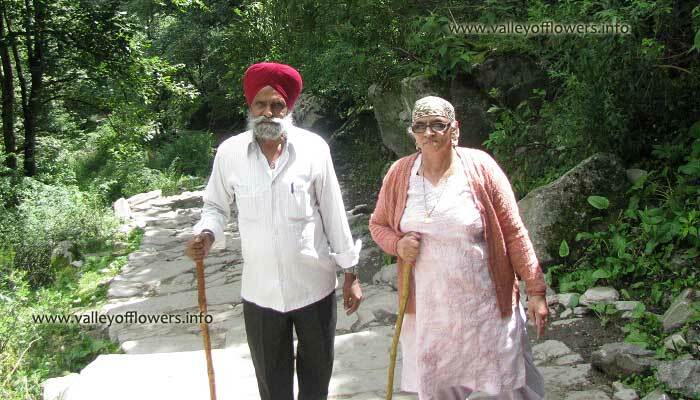 How should senior citizens manage their trip to Valley of Flowers? Recently I have been called up by many senior citizens who are willing to go to Valley of Flowers. Generally they have maintained good health and doing some physical exercises daily. They asked me whether they can do this trip of not. The answer is yes. But there are some important things to be taken care of and I will discuss it in following paragraph. 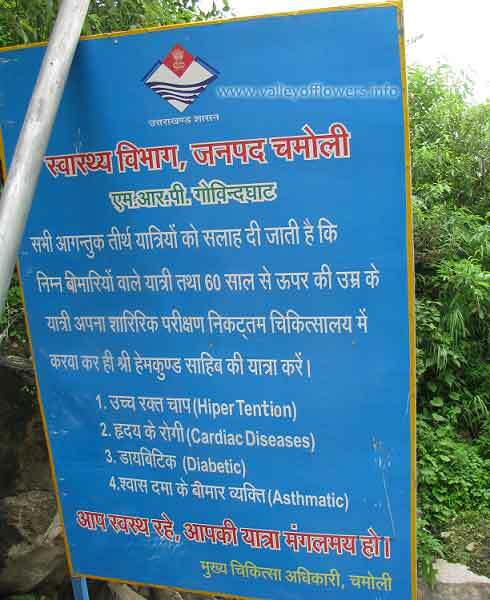 Official notice by Uttrakhand Government to Senior citizens, Hiper tention, Cardiac Diseases, Diabetic and Asthmatic patients. First thing is they should get themselves check from a doctor as they need to trek almost 12-14 kilometers everyday for a minimum of 4 days (although ponies are available for 3 days except the day to Valley of Flowers). Valley of Flowers is at a height of 11000 feet approximately and Hemkund Sahib is at a height of 13500 feet. You should not have had altitude sickness in past. Ghangaria to Valley of Flowers by porter. Use porters/ponies/helicopter from Govindghat to Ghangaria. From Govindghat to Ghangaria a Senior Citizen should not trek as he should conserve his energy for Valley of Flowers day. There are other options from Govindghat to Ghangaria like porters, ponies or helicopter. Porters can carry a person in a Doli or Palki (Palanquin). (Pic Palki). If a single porter carries as seen in the picture it cost approximately Rs. 800 to Rs. 1000. But if four porters are carraying the cost may be Rs. 6000 to Rs. 8000 for a day. A single pony costs Rs. 600 to Rs. 800 per day. Helicopter costs Rs. 3500 between Govindghat and Ghangaria one way. These prices are of 2012 you may add 10% for every year as inflation. Senior citizens trekking from Govindghat to Ghangaria. 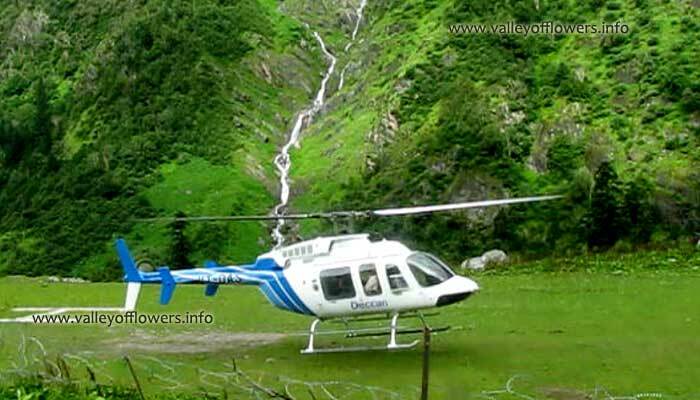 On the day to Valley of Flowers you do not have option of ponies or helicopter and you need to be dependent on porters. 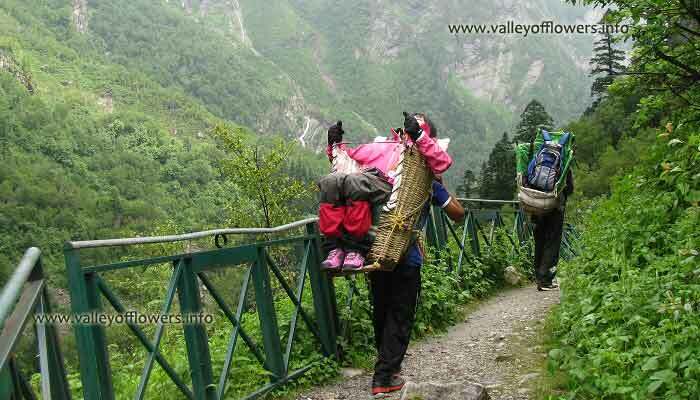 Porters will take only up to 3 kilometers inside the Valley of Flowers. Out of these 3 kilometers approximately 2 kilometers is a steep but beautiful ascent. Depending upon your strength you may trek or take a porter up to 3 kilometers and trek beyond 3 kilometers for about 2 kilometers. You porter may wait at 3 kilometer for you and bring you back to Ghangaria. You may also come back of your own by trekking as coming back will not be difficult being gradual decent. 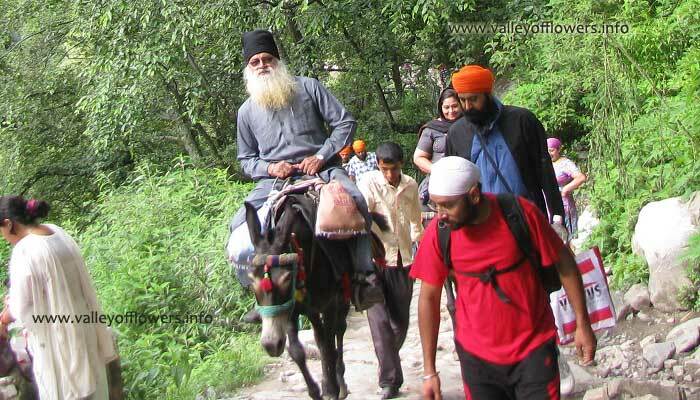 On the day when you go to Hemkund Sahib you should take ponies or porters as this is very difficult trek. You may also skip to go to Hemkund Sahib as some of you may be tired after trekking to Valley of Flowers. ‹ What type of shoes is appropriate for Valley of Flowers? We are Sr citizens and very keen to visit Valley of Flowers. We prefer to skip trekking on foot as much as possible. My wife has not ridden a pony. What would be your suggestion on her clothing to avoid unpleasant pony ride (rubbing of thighs/seat portion). I need to cover Valley of Flowers, hemkunth & badrinath also ….dates are 13-17 Sep only fixed..
A group of 5 of us wish to visit the Valley of Flowers on our way back from Badrinath and spend about 4/5 hours there. Would it be worth our while? Can you arrange for a guide? Hi… my husband and I along with our son plan to visit the Valley of Flowers and if possible Hemkund sahib mid August. I am a year short of sixty and my husband is 65…we are reasonably fit…but haven.’t done any treks….what would be the cost diff we were to travel by helicopter between Govind ghat and Ghangria….also do we need a guide? Hii..we are planning to visit Valley of Flowers in mid-jury.Can you share the detailed itinerary please? Hi, I would want to visit with my father who is a senior citizen. We would like to come over during July-Aug. Can you please send detailed itinerary? Hi can u please suggest we are planning to visit char Dham yatra with Valley of Flowers in mid of July ..we are six people 2 senior citizens 2 above 35 and 2children aged 4 and 10..please suggest the best itenary for us ..and my father is having heart issues and he diebetic too .. I am 70 year old but physically fit. Is it mandatory that someone from my family should me accompany during your trek? Yes, we would like that some one from your family or friend accompanies you. One entry ticket is valid for 3 days, additional days can be added on per day basis, you can visit as many number of days as you wish. I and my wife want visit Valley of Flowers in july end or august. I am 67year old andmy wife is 59. We both are fit and ready to trek. I want to combine this trip with a visit to Badinath Shrine(overnight stay) and Rishikesh. We are from Bangalore. We can come up to Delhi or Haridwar on our own. We would like to visit when it is not very cold and not raining. We are free and can come any time from middle of june to september. Please suggest a best date and detailed itinerary. Hi, A tentative itineraray has been sent to you, the best time when there will not be any rain would be September. Can I take my 2 yr old Kid to Valley of Flowers? Also do let me know the cost. He is too young sir. Please check Minimum age to visit Valley of Flowers, Whether kids can be taken for Valley of Flowers trek. What is the cost of trek for normal trek and one extra day at valley trek? A detailed trip itinerary as per your requirement is mailed to you. Please check. May I know how many people can the helicopter seat? And how far in advance to we need to book the trip? We are hoping to come in August(2015). 6 people can sit in the helicopter and bookings are going on you can book your trip with us. I have sent you a detailed itinerary. I want to film the Valley of Flowers and surroundings do I need special permission? You need to pay fees according to the camera used and purpose of the film. Please check the following image. Hi, This is such a helpful relevant post, thanks a lot. I am founder of a Sr. Citizen Travel Club and was looking for info on Valley of Flowers whether the trek is suitable for Sr. Citizens. Can you tell me after the flood in that area is infrastructure reconstructed for tourists and is it ok to plan a trip to Valley of Flowers in July-Aug 2015 ? Also can I use some of your pictures from this post in my website ? Thanks for the appreciation, Please visit Valley of Flowers opened in 2014 itself to see the full news about the opening of the valley. All the treks have been reconstructed and everything is fine. 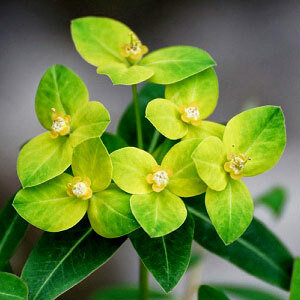 You can also read Valley of Flowers trek travelogue by Mr Tapan Charkarborty, he is a senior citizen. Please feel free to contact me whenever help is required. You can use the pictures without removing the site name from the pictures. I will be thankful if you provide our website link on your site to help people.